HOP-ON HOP-OFF is the most informative and fun City Tour you can find! See the city at your own pace on an exhilarating open-top, double-decker bus – buses every 30 minutes or less! Explore 3 centuries of history, architecture, and culture narrated live in English by your very own Tour Host. You can Hop-Off at your leisure to discover multiple attractions, restaurants and shops along our 2-hour loop. 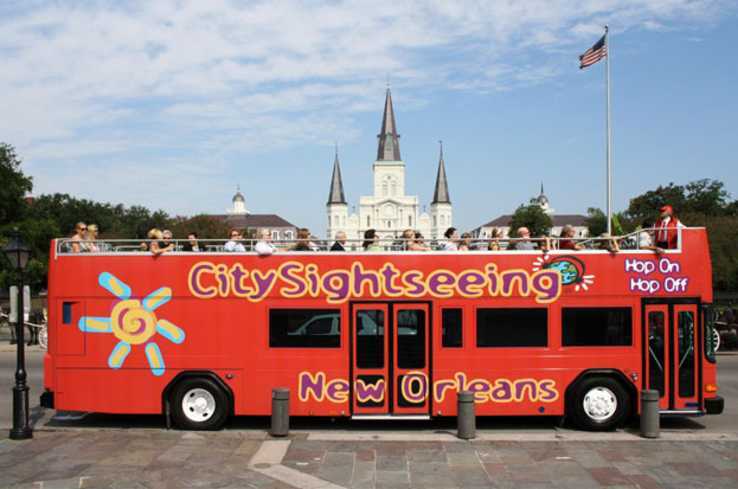 Our guided walking tours in the French Quarter and Garden District are included in a 3 Day ticket.